Tonight, I had the pleasure of watching the Star Citizen Dogfighting Module preview livestream with my friends at Ixion Defence Systems (IXDS). The event was hosted at the Royale Night Club in Boston, MA. Overall, the footage was excellent and extremely exciting. 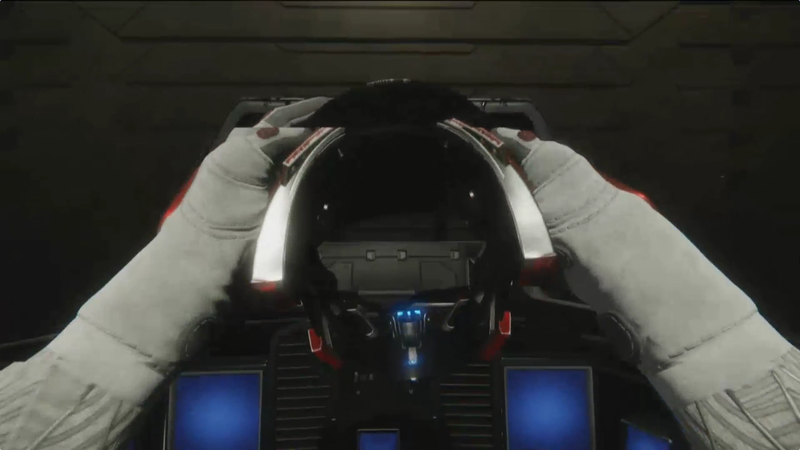 Chris Roberts presented the preview to the dog fighting module after a short video that documented the technical and developmental hurdles that the Star Citizen development team locked horns with and overcame a week before the live event. The dogfighting module is extremely buggy right now, but that is to be expected. The game is in pre-alpha. Chris Roberts went over the release plan and its follow-on phases for the Dogfighting module, which can essentially be considered to be Star Citizen’s alpha test. The slide show presentation that he presented is available here. The module will also feature leaderboards, statistics, pilot and organization views, enhanced citizen dossiers and daily, weekly, monthly and all time rankings. For those worried about or not interested with PvP, the dogfighting module will have both PvP and PvE modes. It will allow players to practice against AI and play cooperatively with other players or just fly around in the environment solo. Revenge of the Vanduul will be added in after initial release as part of a second version of the dogfighting module and will allow players to work with multi-crew ships such as the Constellation and Freelancer. Single seat ships will also be able to be used and co-operative AI pilots will be an option to fly around with. In-game communications are a thing to include voice. The third installment of the dogfighting module will include more environments such as a space station and mining colony. It will introduce FPS boarding mechanics separately from flight mechanics for testing purposes. FPS mechanics will eventually be merged into the actual flight-based dogfighting test once both are at a reasonable level of stability. The third installment will also feature a Capture the Idris mode where pilots will fight over a disabled Idris that is adrift in space. It will also introduce double precision (64-bit) coordinates for larger maps. After the third installment, the game will start to be pieced together. Players will have more traveling freedom instead of just flying around in an arena style environment. The walls will come down! 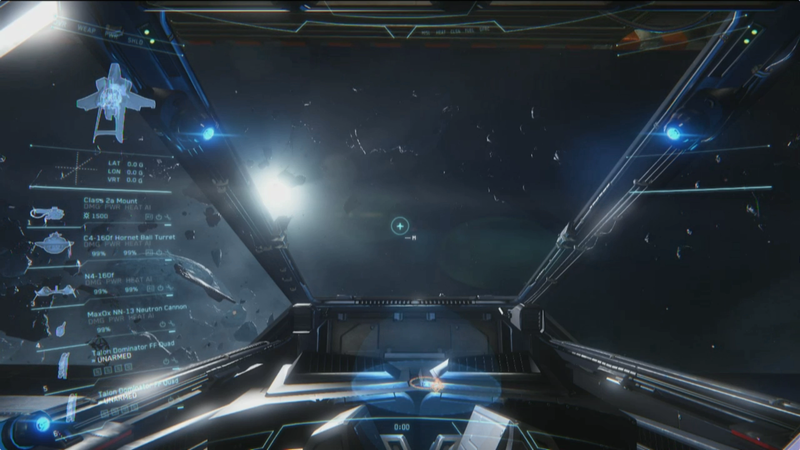 The dogfighting module, officially being referred to as Arena Commander is tentatively scheduled for release later in April or early in May 2014, Chris Roberts said himself during the live stream. Expect to hear a more firm release date shortly after PAX. The gameplay looks exciting, informative and immersive. Combat seems relatively simple with minimal annoying distractions that some other combat flight sims present. Granted we didn’t see much of it. Although, if Chris Robert’s performance with an Xbox controller was any indication… the preferred controller method will probably be a keyboard and mouse or joystick. He couldn’t hit the broad side of an asteroid! The visual quality of the game was superb. The limited level design that was seen was stunning and breathtaking at times. Visual effects, lighting, and PBR (Physical Based Rendering) were a welcome sight. All of this, however brings to light the concern that the average gaming computer will be able to handle the game at a satisfactory performance level. The livestream peaked at just over 27,000 viewers. The chat was ablaze with activity and text was flying by so fast that it was impossible to realistically read. 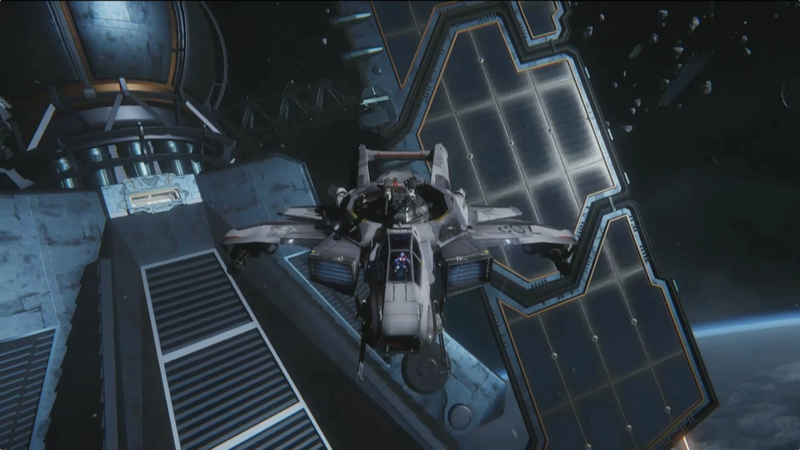 I can say that I’m thoroughly excited about Star Citizen. I’m typically a hater of new games and feel that many do not meet my personal quality standards, but Star Citizen far exceeds my generally extremely high standards.